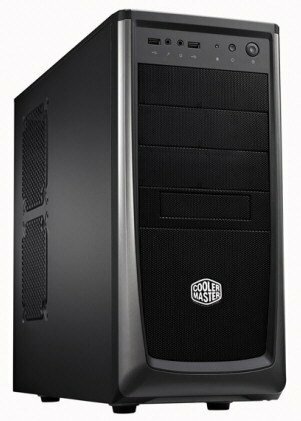 TPU received word about the Elite 372, a new budget case from Cooler Master. The case's looks and features are pretty basic, but the MSRP is only 39.90EUR. This model measures 192.5 x 427 x 498.3 mm, it weights 4.6 kg, and features a steel body, ATX and micro ATX motherboard support, three 5.25-inch and six 3.5-inch bays (with tool-free mounting), and a front I/O panel with USB 2.0 (x 2), Mic (x 1) and Audio (x 1) ports. 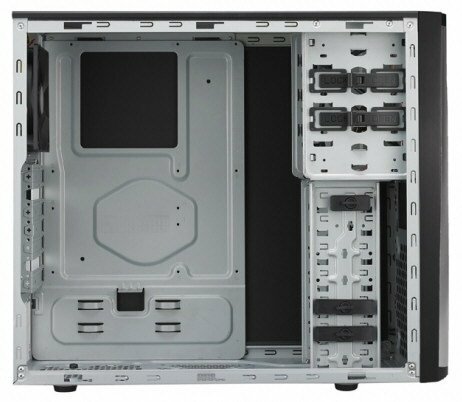 The Elite 372 also has seven PCI expansion slots, top and bottom dust filters, and can be equipped with up to seven fans.